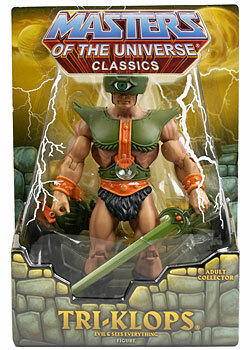 Masters of the Universe Classics, Tri-Klops, Evil Spy for Skeletor, is now on sale at www.MattyCollector.com. UPDATE: Tri-Klops is now sold out! 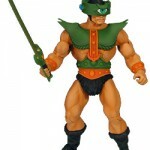 I found a review for the new MOTU Classics Tri-Klops. Holy CRAP. 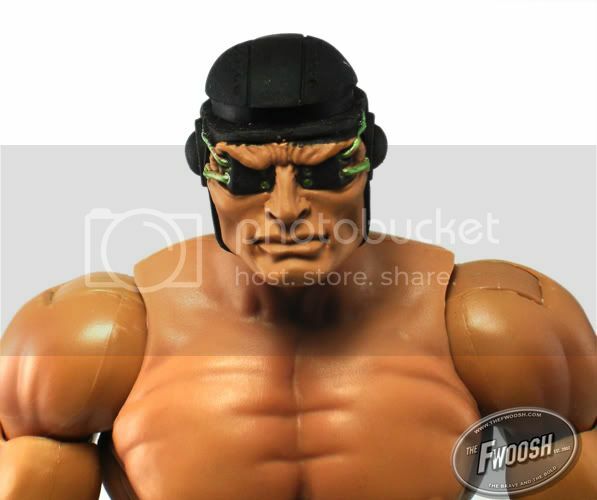 That head sculpt is absolute WIN. Wow. That is pretty damn impressive actually. Tri-Klops is my favorite so far! 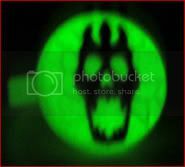 It's cool that Mattel brought back the glow-in-the-dark ring! 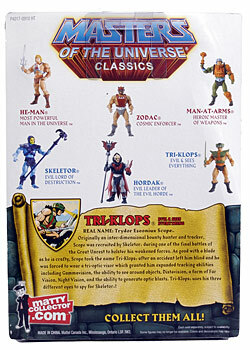 Heads up for all those MOTUC collectors: Tri-Klops goes on sale tomorrow! It's so tempting but I am flat broke after buying a new TV. The one in my bedroom, which I've had since High School, finally kicked the bucket. UPDATE: After almost three days, Tri-Klops has officially sold-out! When did this originally go on sale? How has it not sold out? It went on sale Monday. And yes..I, too, am wondering why he's not sold out. 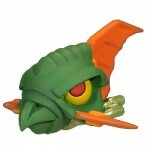 Maybe he's pulling a Zodac and not actually popular with the crowd....thus making him last a little longer in stock. That or Mattel has upped their quantity. 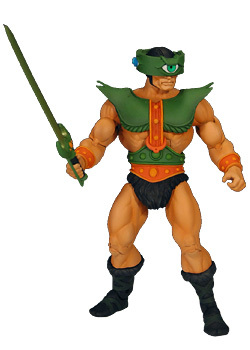 MOTUC Tri-Klops is sold out about 14 hours ago! Yep, he is officially unavailable on Matty's site. Took it long enough, huh? I'm surprised since he's, imo, one of the better figures they came out with. Yeah, I'm surprised it took a little over 4 days. I thought Trike was bigger fan favorite than that. Actually he was sold out in 2 days and 6 hours. That sounds a lot better than 3 or 4 days. 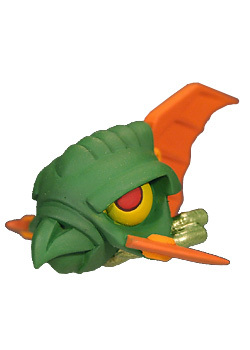 I feel much better now, as Trike was always one of my favorites. Yeah. Me too. I can't believe he lasted that long. I hope that means Mattel is upping their production numbers. I really want Webstor. And it looks like they are re-releasing some the the other figures as well. Thats good news for a lot of folks who missed out the first time around, like me. 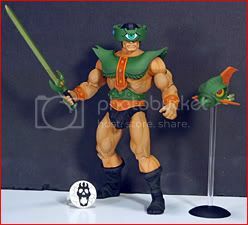 Hopefully they offer Hordak again. I hope the reissues aren't that much different either. I read in the latest issue of Toyfare that they will change as little as possible. 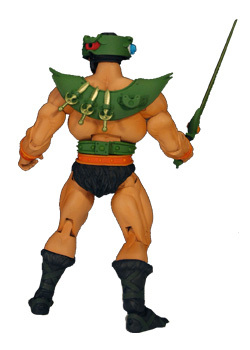 They specifically mentioned the red coloring around He-Man's eyes and tightening the grip on Skeletor. While I'm happy that they are reissuing some figures I also think that they have to at least acknowledge in some way that they are the reissues and not the original release. The collectors who bought the originals deserve that at least. I got my 2 Tri-Klops'! I almost passed out when I opened my package, and saw 2 white shipping boxes. I did pass out when I pulled out both figures and they were both undamaged! My favorite figure so far!